Do you love buffalo chicken hot wings? 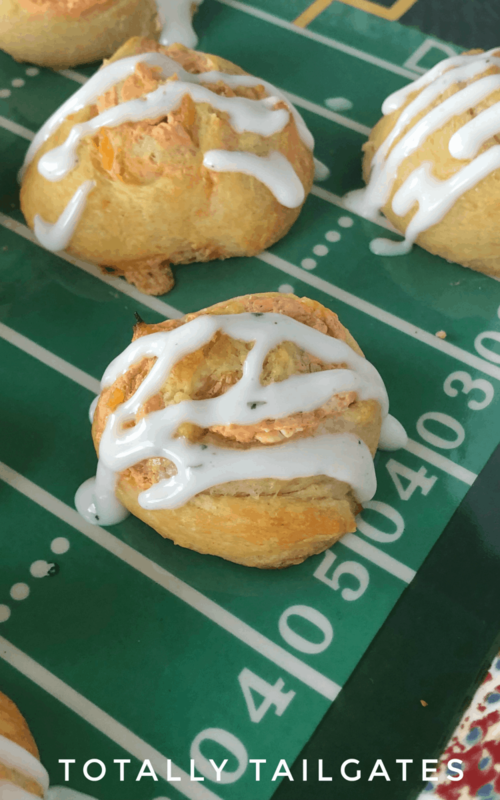 Then you will love this is these Buffalo Chicken Pinwheels – it is so easy, such a crowd pleaser AND it’s economical! December is so festive, and one part of the Christmas season that our family loves are the football bowl games! These appetizers are hot, hearty and full of spicy buffalo chicken flavor- perfect to serve family and friends! Hi everyone, this is Heather stopping by from Totally Tailgates! During Christmastime, I’m always on the hunt for super savory appetizers. 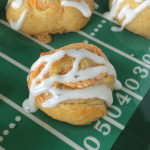 Buffalo Chicken Pinwheel Appetizers are not only a breeze to make, they are economical too! You can use leftover rotisserie chicken or a can of pre-cooked chicken (like I did!) for these little beauties! Of course, if you love this recipe you may want to try this Loaded Buffalo Chicken Tater Tot recipe. Psst….If you are Florida bound for bowl games this year, make sure you check out my Florida turnpike rest stop review. Yes, I really did a post on this! But let’s get back to appetizers…..
Copa and I either stay home for New Year’s Eve or go to friend’s homes nearby. We don’t like to be on the roads on NYE because crazy drivers. The past two years, we’ve had cozy date nights at home while Cee Cee took friends to the beach for New Year’s Eve. I send a big pan of Buffalo Chicken Dip with Cee Cee, and make a second batch for us. 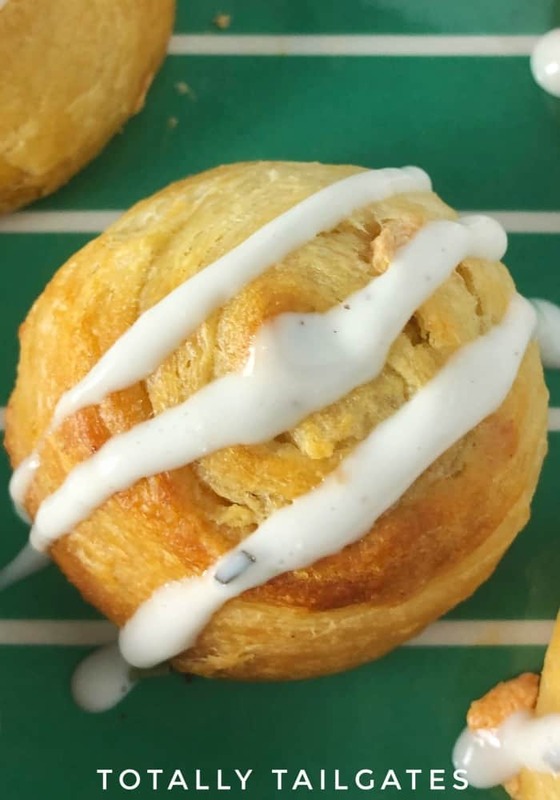 This fall, I got crazy and integrated a warm pastry version of our favorite appetizer – Buffalo Chicken Pinwheel Appetizers. I pulled out a tube of crescent rolls and changed the proportions of ingredients just a tad to make a thicker mixture of buffalo chicken goodness. I even integrated these into my continued 12 Week Weight-loss Challenge by using low fat ingredients. The results were really good, but when serving guests I’d use the full fat options. I know you will enjoy these appetizers all year round, just like we do! Do you love buffalo chicken hot wings? 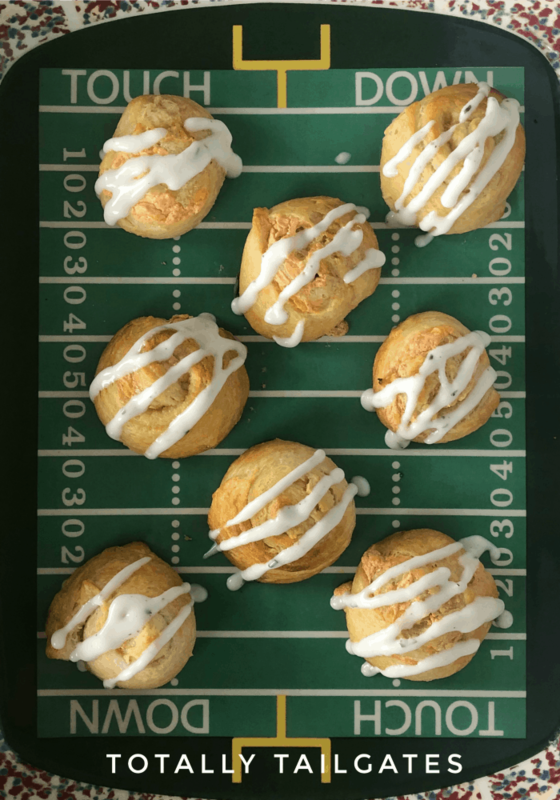 We're taking those flavors and creating these delicious buffalo chicken pinwheels as an appetizer that everyone will love. Drain and rinse canned chicken. In a medium bowl, mix chicken, cream cheese and 1/4 cup of the shredded cheddar cheese. Add wing sauce and remaining ingredients. Open crescent rolls and lay out into 4 rectangular sections. Spoon buffalo chicken mixture over each rectangle, leaving a quarter of an inch between the mixture and the edge of the dough. Roll up each rectangle into a log and cut each log into fourths. Place on a greased cookie sheet or parchment paper. Bake for 12-15 minutes or until pastry is golden brown.